History of Ulverston and the Rotary Club of Ulverston. Bronze age artefacts have been found in the area, but the earliest recorded account of Ulverston (or Vlurestun as it was then) was in 1066, when the main occupation was farming. A Market Charter was granted in 1280 by King Edward I, and the market is still held twice weekly on Thursdays and Saturdays. 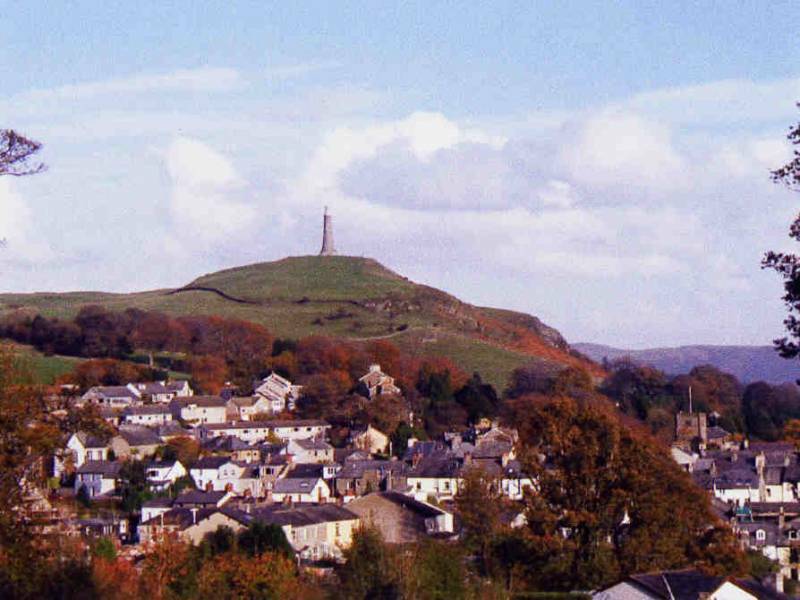 Over the years, Ulverston has seen many different industries, with shipbuilding, milling, leatherworking, iron & steelworks, quarrying, mining, & brewing, being just a few. Nowadays, the principal employer is the GlaxoSmithKline pharmaceuticals factory, though there are many other smaller companies, some involved in electrical accessory, electronics, and other High-Tech manufacturing operations. Pole vaulting as a competitive sport originated in Ulverston, but the town is more famous for being the birthplace of Stan Laurel (visit the Laurel & Hardy museum); Lord Justice Norman Birkett (a judge at the Nuremberg trials of German World War 2 Criminals);and Sir John Barrow (explorer, Secretary to the Admiralty for 40 years, and author of Mutiny on the Bounty), in whose honour Hoad Monument, a replica of the Eddystone lighthouse, was built on a hill over-looking the town. Another famous resident of Ulverston was George Fox, founder of the Quaker movement (visit Swarthmoor Hall). The town also has the world's shortest, widest, & deepest canal exactly one mile long which was opened in 1796 to connect Ulverston to the sea, but this is no longer in use.